A 41-year-old man was arrested in a suspected DUI collision involving three cars that killed a pedestrian outside San Jose City Hall Thursday afternoon, police said Friday. 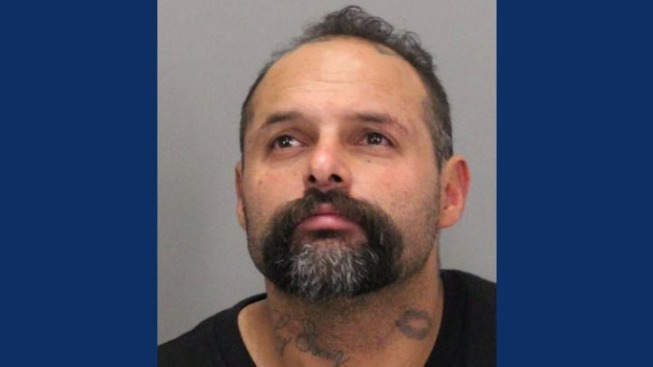 Richardo Gomez, of San Jose, was arrested in connection with the collision at North Fourth and East Santa Clara streets shortly after 4:30 p.m., police said. Officers responded to the scene on a reported major injury collision between three vehicles, police said. One of the involved vehicles was a news van, according to fire officials. Two other people injured in the collision were transported to hospitals for injuries not considered life-threatening, fire officials said. A pedestrian was struck and pronounced dead at the scene, making him the 40th person killed in a traffic collision on city streets this year, according to police. The man on the street was identified today as Douglas Andreen, 61, of San Jose, according to the Santa Clara County medical examiner's office. One of the drivers, later identified as Gomez, was detained and arrested on suspicion of felony DUI and vehicular manslaughter, police said. Gomez was booked into the Santa Clara County Main Jail in San Jose where he's being held without bail, according to online jail records. Anyone with information on the case is asked to call police Detective Kevin McMillin at 408-277-4654. Those who wish to remain anonymous may call Silicon Valley Crime Stoppers at 408-947-7867.